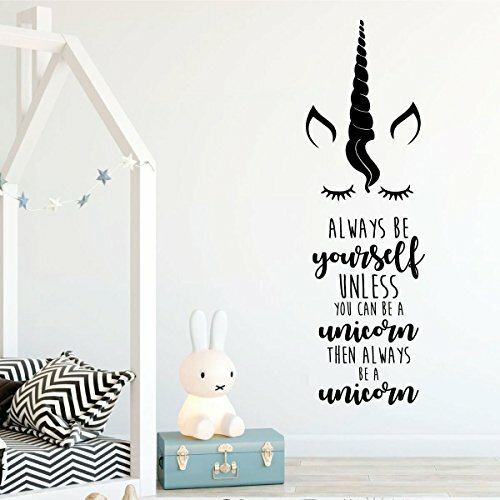 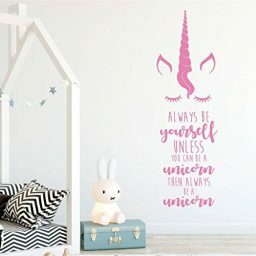 Unicorn Face With Quote - "Always Be Yourself Unless ... Be A Unicorn"
This cute and humorous quote comes with a sweet hint of a unicorn’s face, including demure eyes, curly lock of hair, graceful ears, and that distinctive and impressive horn. 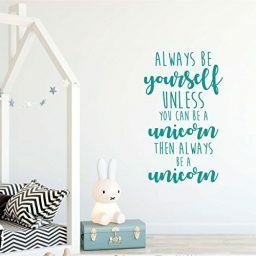 A fun reminder that your child should simply be themselves – at least until unicorn transformations become more common! 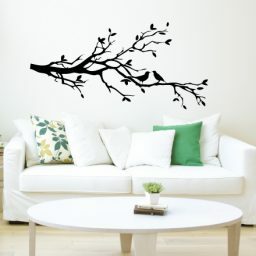 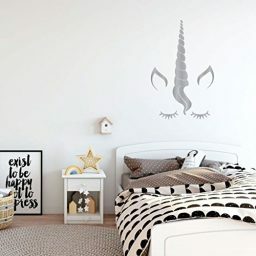 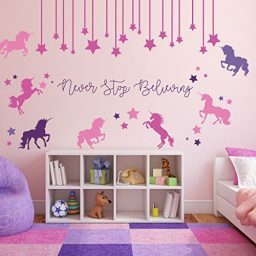 Add some dazzle to a room with this vinyl wall decal and watch a child’s face light up! 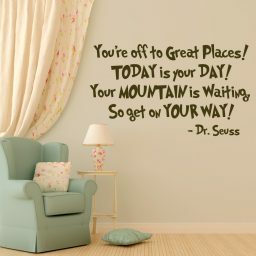 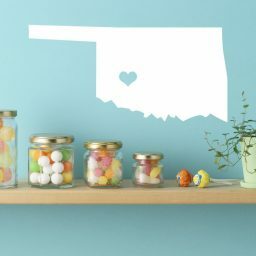 This comical saying is a great way to lighten up a girl’s bedroom, bathroom, playroom, or other fun space! Since there is only a slight chance of transforming into a unicorn, encouraging a child to be themselves is a positive message presented in a beautiful and humorous way! 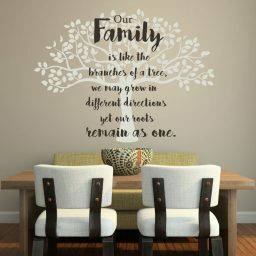 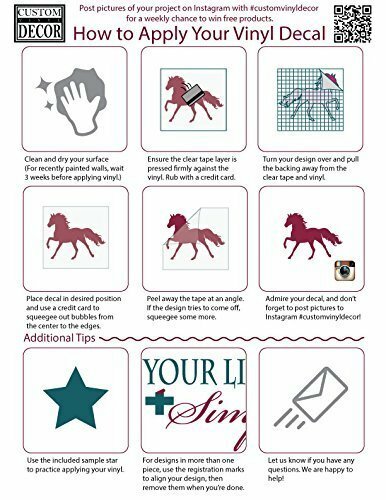 This vinyl sticker would also make a great gift for a niece, cousin, friend, or neighbor! 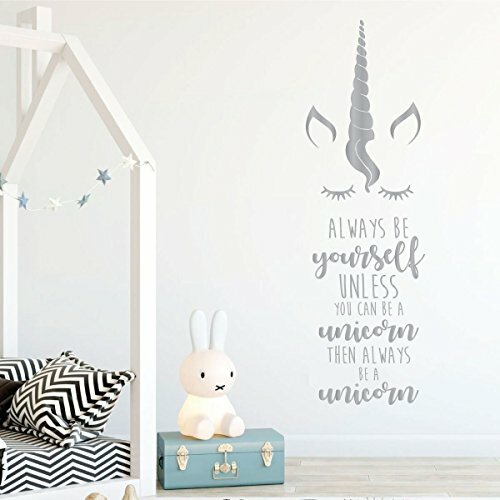 The mystical unicorn is a favorite among many, and this beautiful design would be welcome by all! 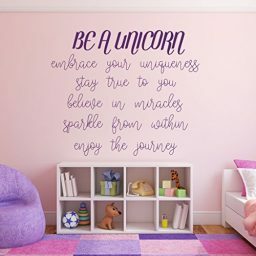 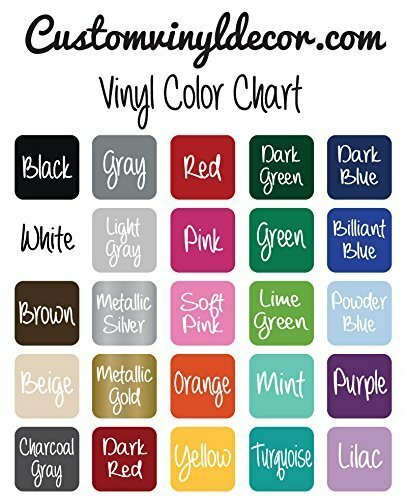 Choose your color and size to best fit your space, and let the fun begin!